There is Place For You At Our Seder! Join us on Friday, April 19 at 8:30 pm for a warm and lively Community Seder experience you will remember for a lifetime! The Community Seder is led by Rabbi Shmuly & Adina Altein, catered by Grandma Alla by Chabad, and generously hosted by Ahava Halpern & Frank Lavitt. Click here to RSVP and for more information. With less than two weeks remaining until Pesach, we’d like to remind you of the special tradition of using hand-made Shmurah Matzah for the Seder. Baked fresh in NY with the highest standards in kashrut, tradition and taste, Shmurah Matzah is round, kneaded and shaped by hand, similar to those eaten by the Jews when leaving Egypt over 3300 years ago. 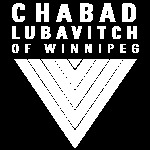 Order online and pickup at the Jewish Learning Centre between Monday, April 8 and Thursday, April 18. Remember to Sell Your Chometz! As we are biblically prohibited to own any chometz during Pesach, there is an age-old Jewish practice to sell any chometz we may still possess to a gentile for the duration of the holiday. A rabbi is authorized to act as an agent for the sale because he will have the knowledge and proper documentation to ensure that the sale satisfies legal and halachic requirements. Submit the online Delegation of Power to Sell Chometz form before Thursday, April 18, 2019. Committed to the highest standards of kashrut and excellence, Grandma Alla by Chabad offers a great variety of flavorful, healthy, and traditional meal options; from homemade gefilte fish to baked goods, we guarantee you will be more than satisfied! You can download our Pesach menu here or click here to place an order. Rabbi Avrohom Altein will present a crash-course on the essentials on Thursday, April 11, at 8:00 pm (following Maariv). Here's your chance to brush up on the laws, traditions, and customs of Pesach! Have you ever seen a 4D movie? This year we’ll be hosting an activity for kids called the 4D Pesach Experience! Through the lens of 3D glasses, children will watch an interactive video called Exodus, transporting them through history to the time of the Jewish enslavement in Egypt. Participants will take part in mid - video games and activities. In addition, during the video, group supervisors will bring the story to life with special 4D effects (don't worry - it will be fun and safe). To get your children involved, click here! Our beautiful Passover Guide features state-of-the-art graphics, a light and lucid description of the tradition, laws and customs of Passover in a fun and engaging style, the latest in Jewish music and books, and delicious holiday recipes. Please patronize our sponsors.